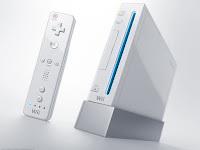 Word on the street is, another Wii firmware update has emerged. This would be a post 3.4 firmware update. I haven’t had the chance to check my Wii just yet, but I wanted to spread the word to you guys. Just what on earth could Nintendo need to update? We just had an update not too long ago! I’m sure we’ll find out in a few hours’ time. Thanks to all the late-night Wii-lovers that sent this my way! Maybe they want to block the new TP (Twilight Princess) Hack? Games to go SYKO about.